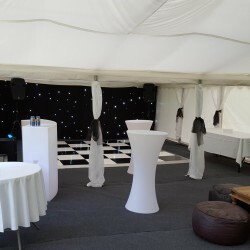 This Jigsaw 108 package for a 21st birthday party in Romsey, Hampshire had all the extras. 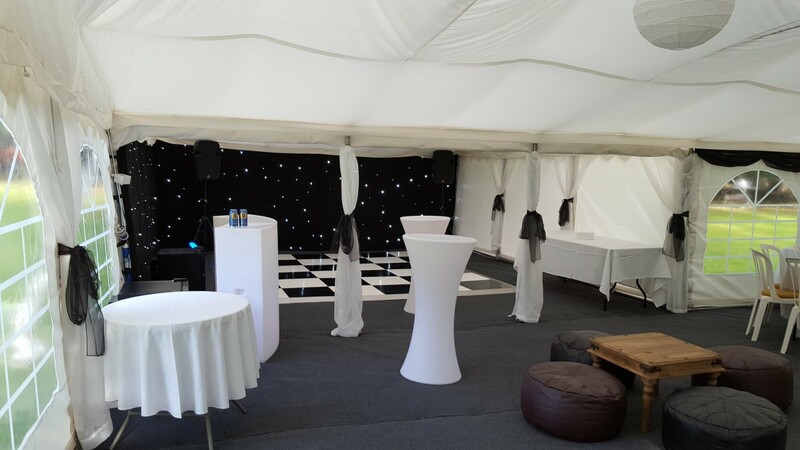 A Dance package, starlight wall linings, LED bar and poseur tables, Moroccan furniture and a walkway! 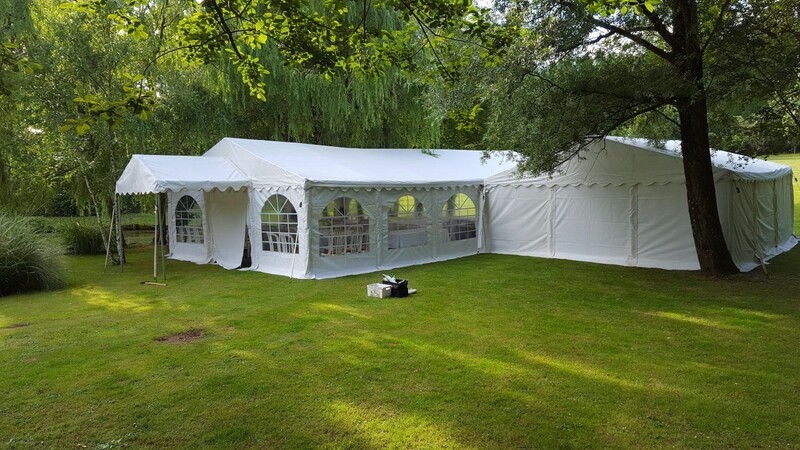 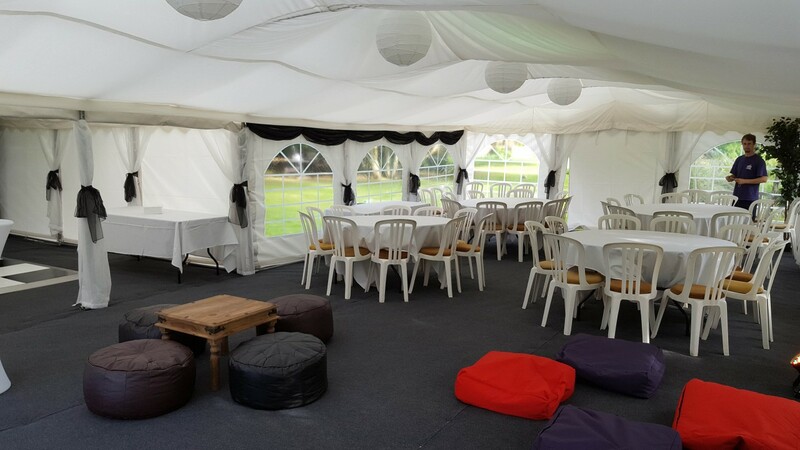 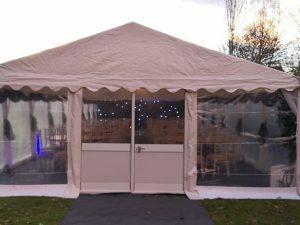 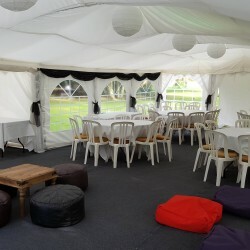 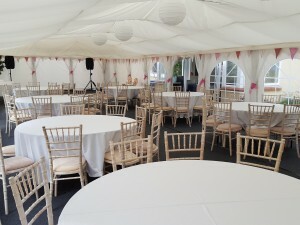 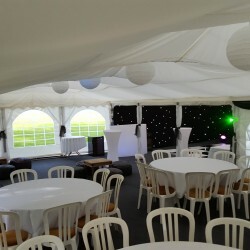 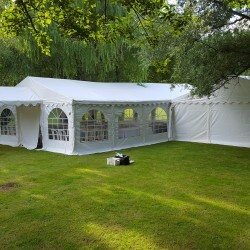 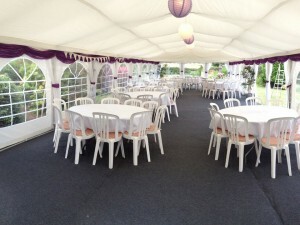 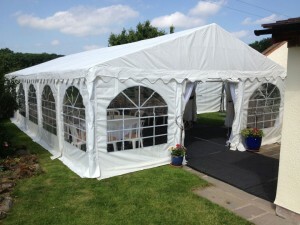 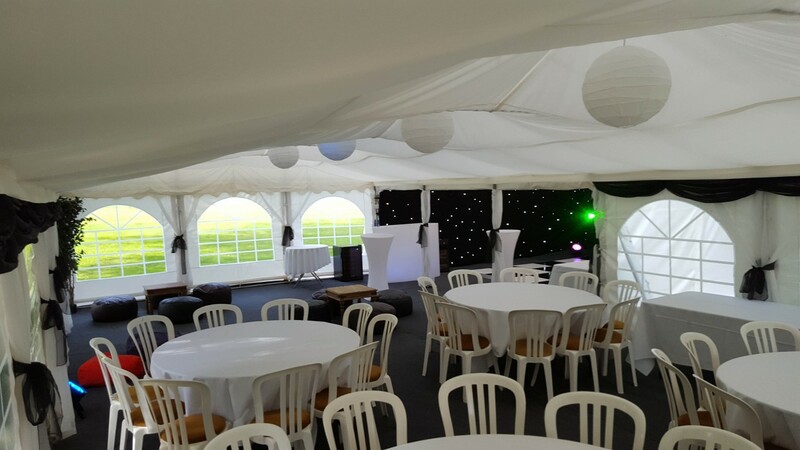 It was the perfect size marquee for 40 seated guests at 4 round tables of 10, a chill out space with Moroccan pouf’s and bean bags and a dance area with our 4m x 4m dance floor and professional speaker system.